A couple of weeks ago Fatima Salim from Fatima Salim Blogspot tagged me in the Liebster Award. You should definitely check her blog out she is a real makeup junkie. 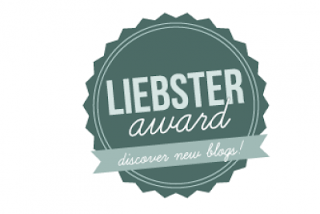 I think the Liebster Award is a great way to develop a bonding between like minded bloggers and form a helpful community. Answer the 11 questions that the person that tagged you asked. Choose 11 or more bloggers with under 200 followers (no tag-backs) and give the person that tagged you a shout out as a thank you. Contact the people that you tagged to let them know. Here are the answers to the questions I was asked. 1. What is your favorite before going to bed ritual? Washing face and then brushing my hair !! 2. What color is your absolute favorite and, why? Favorite color depends on item and situation.. still i usually fall for red and white. 3. If you could win 1 million dollars what would you do with it? I would spend it on vacations and shopping around the world..
4. What makeup product do you think is a must have? I can't simply resist "Kajal" ...its a must have. 5. What workouts do you do, if you do, to keep fit? None.. ‘m god gifted slim figured woman !! infact ‘m trying to gain a little weight. Both need to go hand in hand !! CA by profession, fashion conscious beauty lover by choice. 7. What would your dream country be to live in? Spain !! love the amazing beaches sprawling meadows. 8. Yacht or a private plane? Yacht.. ‘m a more of a water girl. 9. Favorite genre of music? Soofi songs.. they make me relaxed and calm.. music is my connect to peace. 10. Favorite haute couture designer? Roberto Cavalli.. for his sheer creativity on designer gowns ! 11.What would you want your super power to be? I would love to be a vampire.. have ability to live forever.. move like air, heal in a min, umm.. just loving the thought of it. If you could only choose one product from your makeup bag to use for a week away what would it be? A makeup advice/tip you believe in? If you could swap blogs for one day who would you swap with who it would be ? If you could use only one beauty item for the rest of your life, what would it be and why? If you could meet one celebrity who would it be and why? What cosmetic brands have you always wanted to try but still haven't? Do you have a "beauty budget" or you spend freely? One product you don't understand the hype about? So here you go, hope you learned something new about me and I would love to know something about you.